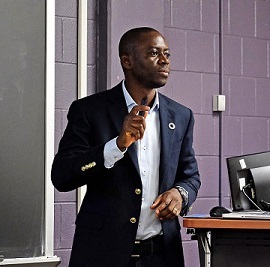 Francis Xavier Dery Tuokuu, Ph.D., is a 2019 graduate of the Doctoral Program in Environmental Studies at Antioch University, New England. Environmental policy assessment has been recognized by critical stakeholders (e.g., governments, local communities, academics, environmental advocacy groups, and mining companies) as an effective way of identifying and dealing with the myriad of environmental problems confronting humanity, particularly those caused by mining activities. While the gold mining sector has contributed to the economies of countries in Sub-Saharan Africa since the introduction of structural adjustment programs (SAPs) in the 1980s by the Bretton Woods institutions (the World Bank and the International Monetary Fund; IMF), the sector has also contributed to environmental degradation including water pollution, land contaminations, and generally, human health concerns in host mining communities. Over the years, various policy measures, such as environmental impact assessments, environmental taxes, and corporate social responsibility guidelines, have been introduced by both past and present governments to address the environmental problems associated with gold mining. Nonetheless, none of these policy measures and series of laws according to the extant literature has been effectively implemented. From the perspectives of critical stakeholders, this dissertation explores how Ghana’s environmental policy framework in the gold mining industry can be improved to protect the environment and the citizens. Additionally, this dissertation is a collection of three distinct, yet interrelated studies, with each study employing a different methodological approach, such as systematic review method, qualitative research design and Q-methodology, to answer a specific research question or address a particular research problem. The findings and recommendations of this dissertation provide new ways of addressing environmental problems associated with gold mining in Ghana that may be applicable to other developing countries. Francis Xavier Dery Tuokuu, Ph.D.
Francis is an Adjunct Professor of Environmental Science & Policy at Plymouth State University. He holds a double Master’s Degree: Master of Science in Interdisciplinary Environmental Studies from Antioch University and Master of Science in Corporate Social Responsibility & Energy from the Robert Gordon University in the United Kingdom. He obtained a Bachelor of Arts Degree in Geography & Resource Development with Philosophy from the University of Ghana. Francis has authored and co-authored some scientific papers which have appeared in prominent journals including; The Extractive Industries and Society, Resources Policy, Journal of Sustainable Mining, Journal of Global Responsibility, and Int. Journal of Business and Social Science. He has published one book chapter. Francis is also a Reviewer for leading international journals including; Int. Journal of Corporate Social Responsibility, Communicatio, Social Responsibility Journal & Journal of Global Responsibility. He is a member of both the Association of Environmental Studies and Sciences and American Association of Geographers. He has delivered papers at faculty seminars and international conferences. 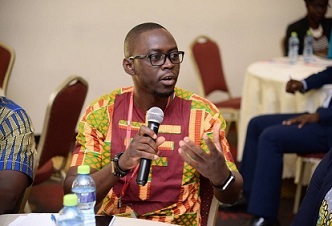 Tuokuu, Francis, "Environmental Policy Assessment in the Ghanaian Gold Mining Industry: Insights from Stakeholders" (2019). Dissertations & Theses. 468.